South Korea managed to achieve their goal of winning the Asian Games meaning the squad get to avoid mandory military service, and that will come to some relief to Tottenham Hotspur and their fans because of how close Son Heung-min came to being drafted and missing 2 years of Tottenham’s season. After signing a new 5 year contract at Spurs, military service would have been a disaster for all concerned, now he only has to complete 4 weeks basic training. 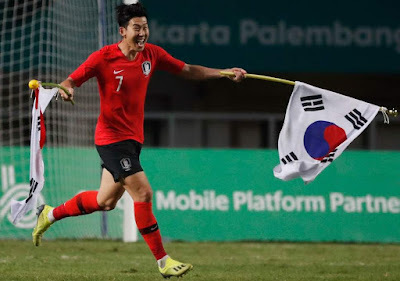 Son is not the only high profile player in the squad however, even though a lot of the English speaking media has focused on him, there are Korean players in the squad based in Italy – Lee Seung-woo and Austria - Hwang Hee-chan. Their clubs and fans will also be delighted with this outcome as much as the players are because they now have the opportunity to have a career that will be unaffected by military service. The game was itself was tied 0-0 in normal time, with South Korea scoring twice to take a 2-0 lead through Lee Seung-woo and Hwang Hee-chan before Japan pulled one back towards the end of the game through Ayase Ueda but they couldn’t manage to get another goal to make it 2-2 and drag the game into penalties. Hwang Ui-jo seemed to cause a wave of questions as to why he had taken an over age player spot at the Asian Games, a lot of Twitter seemed to suggest he was a managers favorite and that was the reason he had been selected. The Gamba Osaka forward however easily justified his selection with scoring goals throughout the competition. Admittedly I didn’t know much about the fella before my Twitter exploded wondering why he had been picked over better qualified candidates but this time the coach has got it correct and fair play to the Twitter rage, because most of them have admitted they were wrong and were extremely happy he delivered the goals to take Korea as far as possible. He scored 9 goals in total to become the Asian Games top goal scorer. 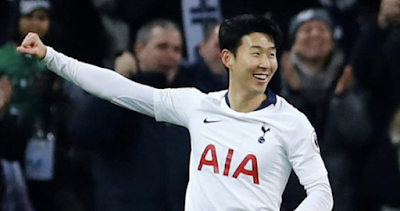 No one will be in the slightest bit bothered about this I would imagine, but Spurs and the Korean Football Association (KFA) had an agreement in place whereby if Son comes and plays in the Asian Games where South Korea were more likely to win, then he will not be selected for the Asian Cup in January. We can see Spurs point of view on this, because if he played in both competitions it is likely he would miss nearly half of the season. The high risk strategy from Tottenham and the KFA however has paid off as they did win the Asian Games and now their players are free to continue the progress they have been making in their careers so far.